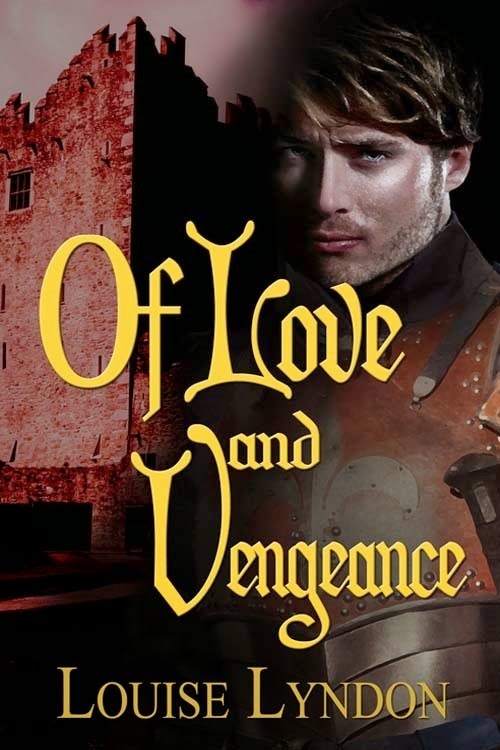 Today we are interviewing Louise Lyndon, author of the historical romance novel Of Love and Vengeance. Oooh, OK, where to begin? I grew up in country Victoria, Australia, before I moved to England, where I was only supposed to stay for two years. Well two years turned into sixteen years! I spent the time soaking up the vibrancy of London and the medieval history of England. I’ve since returned to Melbourne. I come from a family made up mostly of females, very strong ones at that, which is why I tend to write strong female characters. I don’t have any children, or pets. I don’t even have a house plant, because I keep forget to water them and they keep dying on me. When not writing I can be found covered in mud, crawling under barbed wire and hoisting myself over twelve foot walls! Describe the plot of your new book, Of Love and Vengeance, in a few sentences. Your new book, Of Love and Vengeance, is a medieval historical romance. What made you decide to write a book in that genre? I fell into the time period by accident! It was while I was on a trip to York, northern England, exploring medieval ruins. A snippet of dialogue popped into my head. The characters wouldn’t keep quiet and since they came to me while I was standing in the middle of medieval ruins I knew that was the time period they had to be set it. It was then just a matter of choosing the date. I think anyone who likes a happily ever after will most definitely enjoy, Of Love and Vengeance. Laila is a determined, outspoken character. What influences contributed to this character? My father died when I was very young and so my mother raised four girls on her own. I think coming from a single parent family has taught me to be extremely independent and determined to take care of myself – two things I think we see a lot in Laila. There is a lot of my sisters in Laila. Also, I think I do a lot of people watching (both in real life and via the media) and draw from those people to inject into my characters. Yes, having to stop so I can go to my day job – curse the need to eat and put a roof over my head! I’m not sure if it’s writer’s block or just ‘I don’t want to do this today’ – either way, I force myself to sit in front of the laptop and write. Even if it’s a scene that is not in sequence of the book. If it’s in my head and I can ‘see’ it then I’ll write it just so I can have some words on the page. It doesn’t matter if the scene is further along in the book and I have no idea what happens before or after that scene – I just write it. I think when I force myself to write a scene I’m not ready to write or try to make my characters do something they don’t want, then that’s when the writer’s block/I don’t want to do this today comes into play. So while I force myself to get words on the page, I don’t force myself to write something I can’t yet see. My current work in progress is tentatively called, Of Love and Betrayal. It takes place roughly fifty or so years after my current release, Of Love and Vengeance. I’m about 170 pages into it and I’m really enjoying writing it. The hero is the grandson of the hero in my current release. I can’t say much more than that.